Our sole purpose is to enhance teaching and learning. Technology is a tool – Teaching is the art. We are the only dedicated education solution provider in the mid-south. AXI provides educators with cost effective, integrated hardware, teaching software, curriculum resources and true professional development customized for individual schools and educators needs. Our approach is simple. Technology needs to work like the lights. 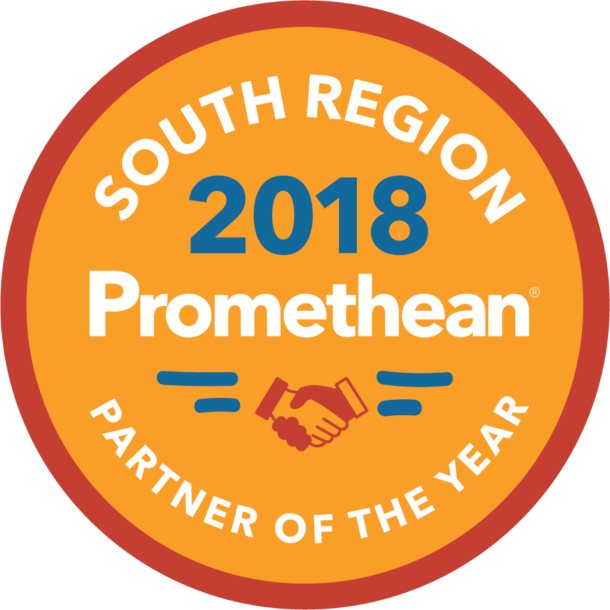 AXI Education Solutions is a Louisiana Licensed Specialty Contractor (License 55474) and is the only Promethean Platinum Partner with Promethean Certified Technicians in the Louisiana or Mississippi (2017). We currently service, support and provide professional development to both teachers and technical staff with over 31,000 installed classrooms. 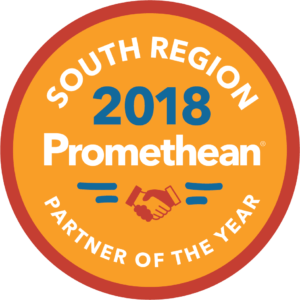 All installations are performed in accordance to manufacturer’s specifications by AXI’s Promethean Certified Technicians who are both professional technicians and employees, not subcontractors. AXI files the Warranty Registration. One Year AXI Installation Guarantee. AXI is the only On-Site Service Provider with the training and parts to provide Certified Technicians to readily service, troubleshoot and repair all models of Promethean Interactive displays. AXI is also the only company in the south-central US with factory trained technicians for multiple third-party displays including the original manufacturers of other brands. AXI Education Solutions is an education organization, not a technology company. Education should reflect the way that students learn in the real world. Our students are natural networkers—playing games and swapping stories between classes and sharing their lives over social media at home. AXI encourages the same kind of interactive collaboration and game-based learning to create lifelong learners with flexible skills for the modern economy. According to one Gallup study, a one percent increase in student engagement can result in as much as a 6 percent improvement in outcomes. More than 16,500 educators have attended AXI Professional Development. Our Teaching and Learning Consultants are experienced educators whose mission is to transform teaching and learning at the classroom level with those everyday teachers that teach 80% of our students. We partner with our districts to make incremental changes through the use of research-based best practices backed by our own experiences in the classroom to help teachers give their students the best interactive learning experience. AXI Education Solutions continues to use a holistic approach focused on facilitating real incremental change in implementing best practices in the classroom by integrating interactive education technology into the curriculum. Technology levels the playing field for ALL students by reaching multiple levels of learning while meeting individual learning styles and student needs.